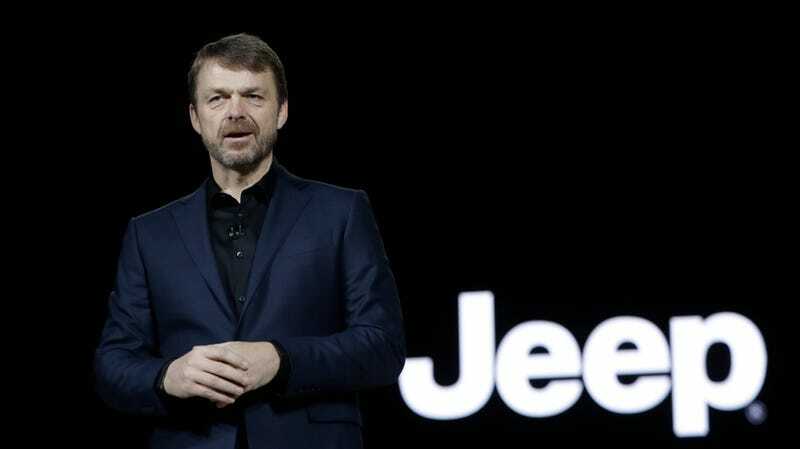 Fiat Chrysler Automobiles has confirmed that longtime CEO Sergio Marchionne is in fact stepping down due to extended health issues, and his replacement is Mike Manley, the 54-year-old Brit who has spearheaded the growth of Jeep over the past decade. As we reported earlier today, Marchionne—who has led Fiat since 2004 through a turnaround that included the post-bankruptcy acquisition of Chrysler in 2009—has not been seen in public for over a month following complications related to a shoulder surgery. Marchionne, 66, had been set to retire in 2019. In his stead, the company has chosen Manley, who has led Jeep since 2009 and Ram since 2015. As Automotive News reports, he joined what was then Daimler Chrysler’s UK division in 2000 and rose through the ranks to become COO of FCA’s Asia-Pacific region and eventually the top spot at Jeep nearly a decade later. His guidance is reportedly seen as instrumental in quadrupling Jeep’s sales since then, and for the brand’s inroads into China. Along with Ram, which Manley also oversees, Jeep is a major profit driver for FCA as the global market shifts away from sedans and small cars and is seen as perhaps the most valuable car brand in the world. As for Marchionne, his tenure was lauded in a somewhat grave-sounding statement from John Elkann, the chairman of Exor, the holding company that owns FCA. “I am profoundly saddened to learn of Sergio’s state of health,” the statement said. “It is a situation that was unthinkable until a few hours ago, and one that leaves us all with a real sense of injustice. At Ferrari, the spun-off FCA automaker where Marchionne also served as CEO, Louis Carey Camilleri has been selected to take the top role. Automotive News reports he is a 63-year-old Egypt native of Maltese descent who was previously chairman and CEO of tobacco company Philip Morris, and director of Kraft Foods and Kraft’s chairman from 2002 to 2007.